I have spent much of my professional career troubleshooting very large, complex computer systems. Why trying to debug such a system, the thing that I have learned to look for are patterns; consistent ways that that system fails (usually as a result of specific actions). Those patterns then suggest cause and effect relationships, and I then drill into those possible causes. I am taking the same approach with this project. What I am doing is looking for groups of pitchers who have specific kinds of problems (e.g. labrum tears). I then look at their mechanics and look for patterns; consistencies in what they do -- and that pitchers who do not have those problems do not do -- that might suggest the root cause of the problems they are experiencing. I believe that I have detected a number of patterns that may be related to an increase risk of injuries. Some pitching gurus believe that one thing a pitcher must do to generate significant power is to make an upside-down W with both arms; to have the hands at the level of the shoulders and the elbows above the level of the shoulders. Based on what I have seen in the first 40 (or so) analyses I have done, I think this is potentially very bad advice. I am not exactly certain what the exact mechanism of injury is, but I believe it might be related to the impingement of the muscles of the rotator cuff on the bony structure of the shoulder. Regardless, it seems that virtually all of the pitchers whose motions I have analyzed who have had shoulder problems -- and none of the pitchers whose motions I have analyzed who have not had shoulder problems -- take their elbows both above and behind their shoulders at some point in their delivery. 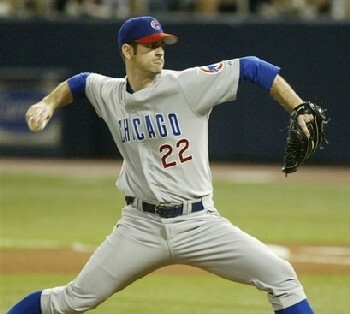 By way of confirmation of this, at the end of 2005 I predicted that Mark Prior would experience shoulder problems because he does this. Toward the end of February 2006, reports started to emerge that he was experiencing problems with his shoulders. I believe that his problems are related to this problem with this pitching motion. This isn't just my idea. I have come across several articles that discuss this problems with doing this. If I am correct about this relationship, then I believe that a large number of pitchers are at an increased risk of experiencing serious problems with their Rotator Cuffs (especially subscapularis tears). I believe the safer way to turn the pitching arm over, and to perform Scapular Loading, is to keep the elbows below the shoulders. 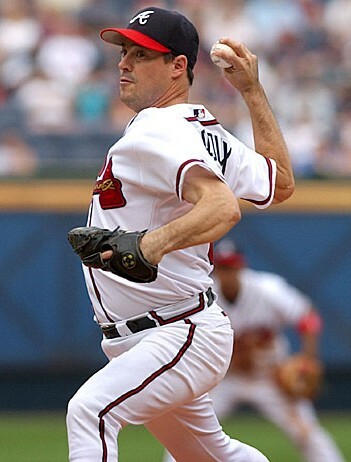 This is what Greg Maddux does (see photo below), and I believe that it has contributed to his longevity. One of the things that Dr. Mike Marshall is adamant about is that at no point in the pitching motion should a pitcher's elbows go behind their Acromial Plane (basically their back). While this advice is based on good science -- that the shoulder joint becomes less and less stable as the elbows move behind the Acromial Plane -- I think Dr. Marshall might be (possibly intentionally) overstating the problem. While it is best to keep the elbows in front of the Acromial Plane (in the Green Zone), it appears that the elbows can move some distance, and by that I mean perhaps 15 degrees, behind the Acromial Plane (into the Yellow Zone) without placing undue stress on the muscles of the front of the Rotator Cuff. I say this because in my analyses I have seen that many major leaguers -- who did not have shoulder problems -- take their elbows slightly behind their Acromial Plane and into the Yellow Zone. However, I do believe that if the elbows go too far, and by that I mean perhaps 30 or 45 degrees, behind the Acromial Plane and into the Red Zone then the risk of injury increases significantly.